 Please find below entry forms for the Fortrose and Rosemarkie Golf Links Open Competitions for the 2019 season. The forms can be downloaded, completed and then emailed as an attachment to Mike MacDonald or alternatively you can post the form with payment included or bring your completed form into the Club and make a payment then. If you would like to enter more than one competition please use our Universal Entry Form 2019 in Microsoft Word Format. Alternatively please click onto the attached form below for the PDF version. You can pay and book online for any open competition by clicking onto the Online Booking link on the menu bar and then click onto the link to book your golf online. Once you have done this select 'Book an Open Competition'. YOU CAN CURRENTLY BOOK ONLINE FOR OUR OPEN COMPETITIONS BY CLICKING ONTO THE LINK BELOW!